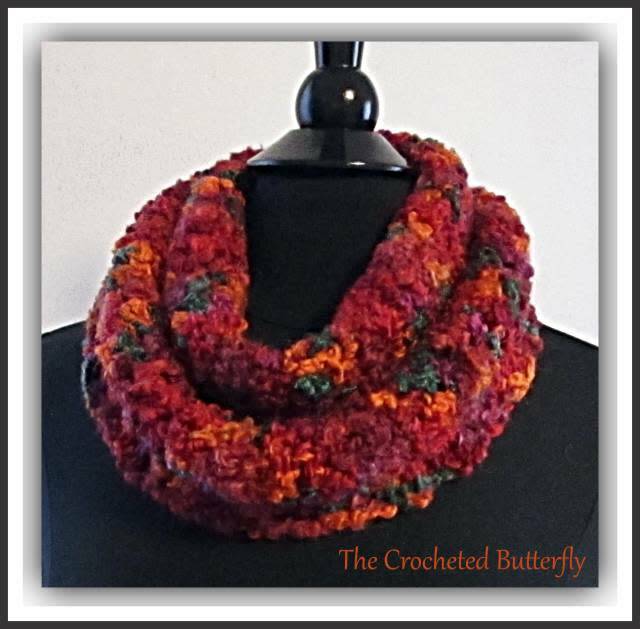 In keeping with having products in my store to sell, I have just added another (and very colorful) item for sale – the Boucle Delight Cowl. I had originally made this as a scarf, but it ended up a little short, so i decided to convert it to a cowl. I know that I should have more summery items in the shop. I promise I will, but I’m still in the throws of reorganizing my bed/craft room, so when something pops up to add, I’m just going with it. In my world the months seem to fly by, so it’ll be fall before I know it! The biggest problem I’ve had with this cowl is the photography. 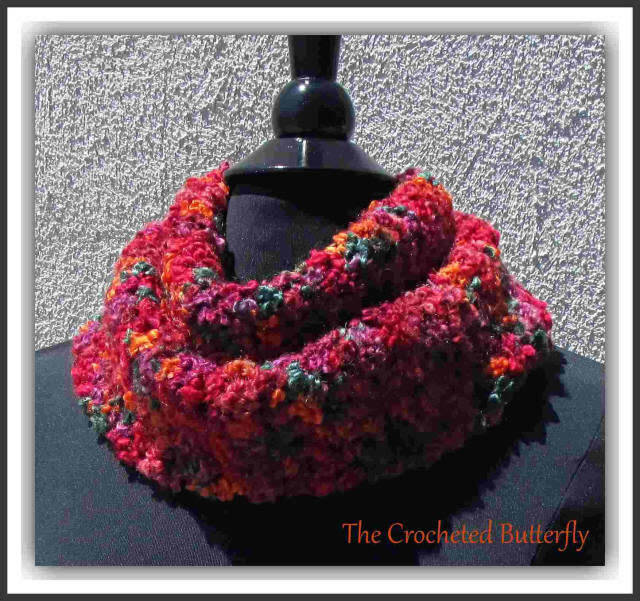 I didn’t use bright or neon yarn colors to make this, but in the photos the cowl really looks much brighter than it actually is. I tried taking a pic inside the house (thinking the sun was the culprit), but that didn’t work either. The next photo is much closer to the real colors. In articles about taking product pics, they tell you to use natural light (or “reveal” type light bulbs) as much as possible because this will show off the true color of the item. Obviously, direct sun doesn’t always work. Since I don’t have a room to set up for product photography or the money for a pro photographer, I just have to rely on photo editing programs to try to achieve the proper effect. Easier said than done!